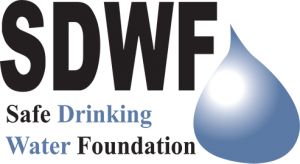 "The Safe Drinking Water Foundation (SDWF) is a registered Canadian charity that sends education kits to schools across Canada. The SDWF sends over 600 educational kits to Canadian schools every school year, resulting in educating over 30,000 students about drinking water quality issues and solutions. SDWF educational kits have been used in over 2,500 different schools across Canada. Nicole Hancock, SDWF's Executive Director (she has worked at SDWF since 2006) can answer your students' questions, make a presentation about a topic of interest (for example, water pollution or how to use the Operation Water Drop kit in your classroom or urban water issues), she is willing to make a custom PowerPoint presentation for her presentation to your students. Nicole is bilingual (English and French), her first language being English."